I have a project with a O-320 lower cowling. It must an older variant because it is made from white glassfiber, instead of the more transparent sold now. Im planning on rebuilding my O-320 E2A to EFII fuel injected. 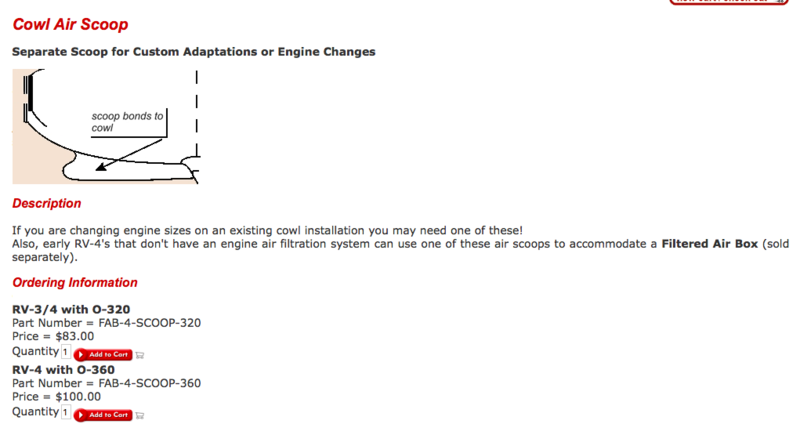 + Will this cowling work with the EFII throttle body? + What airbox/Filter should I buy? Too many too choose from on Vans webshop. Any reasons I should consider an alternative system than the EFII System 32? Seems like the most promising system at the moment. Probably not going to purchase this system for another 6 months, but need to make some tactical decisions now. Last edited by spirit49 : 01-15-2018 at 12:51 PM. If you are not afraid of working fiberglass, most anything is possible. Do you know that there is going to be a fitment issue, or just suspect there will be one? Whatever exhaust system you choose should be considered ahead of time. If I recall correctly, the EFII mounts the injectors below the heads, the SDS mounts them above--------something else to consider. Whatever you choose to do, good luck with it. Reading through a lot of posts the last months on RV-4, I believe there was some mentioning about different issues when removing the Carb and installing the EFII system instead. With the amount of different options possible, it would be great if someone has gone through the same setup earlier. Being in Europe, ordering the wrong parts is a major pita. Better get it right the first time around. To be completely serious, there are a number of EFI solutions, with SDS being the prime mover in the segment (I'm including the 400 or so SDS based systems sold by EFII). As with any equipment decision, you compare your list of requirements to the features offered, and pick the one that meets your requirements. This isn't like buying a car - there should be no showroom flash to sway a decision. YOU define the requirements and stick to it. Also keep in mind that vendors are there to sell you something. Just because it's offered for sale does not automatically mean it makes sense from an engineering perspective. In the end it is again up to YOU to be able to deconstruct the fine details of similar appearing offerings and determine if it is suitable for your aircraft. In E-AB, this responsibility is on you, not the vendor. That cowl will have to be modified anyway even is you use the standard updraft carb. Van's used to sell a mould in replacement inlet that allows air to get into their air box, they probably still do. There is a good video on iTunes of someone modifying a cowl for a am air system, I suggest you find and watch this and the mod work will seem less daunting. 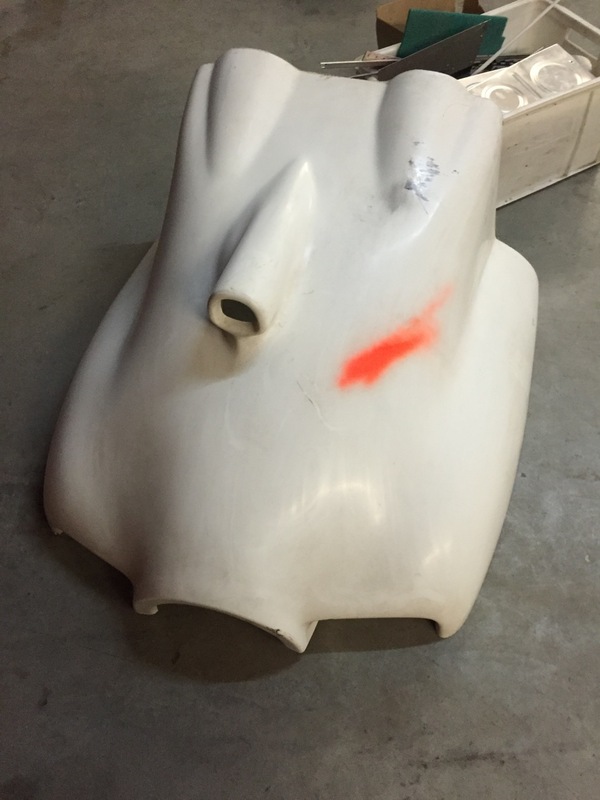 I thought the lower cowling I already have would accommodate an airbox and that such separate scoop modification wouldn't be needed. I have a pretty big order coming up with Vans, so picking the right part numbers (scoop+airbox) is important. I rather do one big shipment. I guess I get blinded by the "showroom flash", but having heard a lot of good about the previous EFII system, aiming high and going for the last generation with higher computer resolution, seems like a smart move. Price-wise they are more or less in the same bracket. Problem is that I eventually(soon) have to make a choice. After I make the choice, there is a lot of secondary decision that follow, ref Scoop modification to accommodate the airbox that fits the throttle body related to the initial decision. Maybe its just easier to go with a carb, then rebuild the aircraft to fit the fancy systems afterwards. Save a buck now, spend thousands later+downtime. It just seems like most of my RV friends build stock aircraft, then starts dreaming about speed and capabilities, ending in rebuilds that would be easier solved during initial construction. Have read every post on injection system, and get none wiser. Yes i remembered it as the fab series but did not want to put the number in case my memory was tricking me. The E2a is set up for an updraft carb, the fab 320 bolts to the bottom of the car so it's roughly 100 MM from the bottom of the sump. If the EFI system has an intake tube that fits to the bottom of the sump the same depth as a carb, also duplicating the carb stud pattern at the bottom, the fab 320 will fit. If not you would have to fabricate something. I can put you in touch with other EFII RV-4 flyers. You will not have any problem setting this up. Our injectors assemblies do not interfere with the RV-4 cowl in either the intake pipe location or the primer port location (our two options). Our throttle body is shorter than a Marvel carb. This will give you extra room to work with in the air induction. Your time frame is very good for System32. We have the first production System32 ECUs in house now. They are impressive performers. We are already shipping System32 installation kits. The control electronics are scheduled for first shipments in the Spring for full EFII systems. I think what the op , and what I would like to know is whether a Fab 320 air box would fit to your throttle body. I am going to be putting an 0-320 into my RV 9 and your systems is one under consideration. If the fab 320 does not fit how do you get filtered air into the throttle body? Yes, no problem with the FAB airbox to our throttle body. Our Throttle Body Flange Adapter gets you to a flat flange that can be attached to the FAB. A simple method is to weld our flange directly to the FAB top plate.